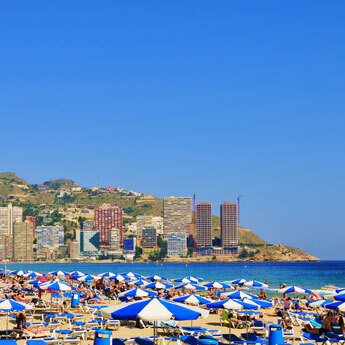 When you think of Benidorm a lot of things come to mind – beaches, British pubs, the Solana Hotel (real name the Sol Pelicanos! ), maybe even Sticky Vicky. 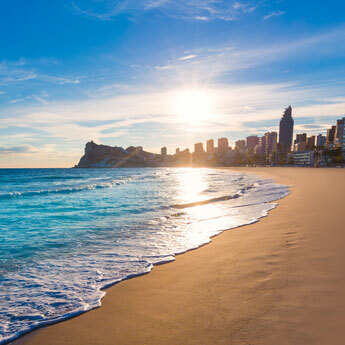 One thing you might not link it to is luxury, but that’s where you’d be wrong; Benidorm has some incredible hotels to choose from if you want a break that has that extra special something. Here's why you should choose this area of the Costa Blanca when picking your next holiday destination from the shelf of the travel supermarket. The Asia Gardens Hotel is a real luxury hideaway, tucked away in the hills above Benidorm town centre. The hotel takes inspiration from Asian style with beautiful infinity pools, tropical gardens and stylish restaurants in serene surroundings. The spacious Balinese rooms come with a terrace and king size bed, and if you want to upgrade you can book a deluxe suite or even a room with a private hot tub. If you’re looking for a haven of peace away from the business of Benidorm centre, you can’t do any better than this. 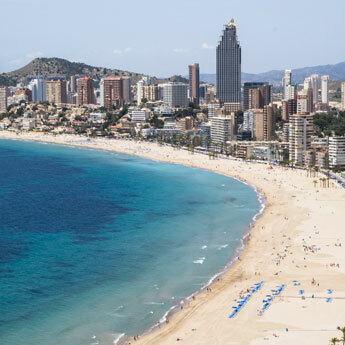 The Melia Villaitana is practically a whole town in itself, located about 15 minutes’ drive from the centre of Benidorm and just down the road from the Terra Mitica theme park. The Level is its luxurious adults only 5-star hotel, set on two golf courses and offering a spa, tennis courts, swimming pools and flawless service. The village feel of this expansive complex means you could pass your whole holiday without ever having to leave! Looking for a luxurious hotel that the kids will love too? Head to the Grand Luxor, set inside the Terra Mitica theme park! The Egyptian-themed hotel has a huge outdoor pool, spa, and a stunning roof terrace with great views of Benidorm centre and the ocean. Of course, the hotel’s biggest selling point is that guests have free unlimited access to the rides of three theme parks – Terra Mitica, Aqualandia and Mundomar. Unlike a lot of Benidorm’s most exclusive hotels, the Villa Venecia is situated right in the middle of Benidorm Old Town close to the beach. The hotel offers rooms with fabulous sea views, two restaurants serving authentic Mediterranean cuisine, and the rooftop terrace has real wow factor with a swimming pool and beautiful sunsets. The rooms are individually themed, and have free wifi and hydromassage baths. Search for top value hotels in Benidorm today!